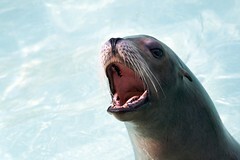 On the Teleportaloo: Sea Lions look like Sea Dogs to me! 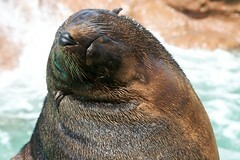 Sea Lions look like Sea Dogs to me! 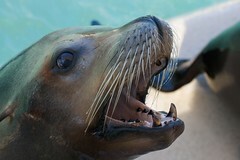 Here is a picture of a Sea Lion I took at Sea World. They look so much like dogs! (A few other pics from Sea World here).